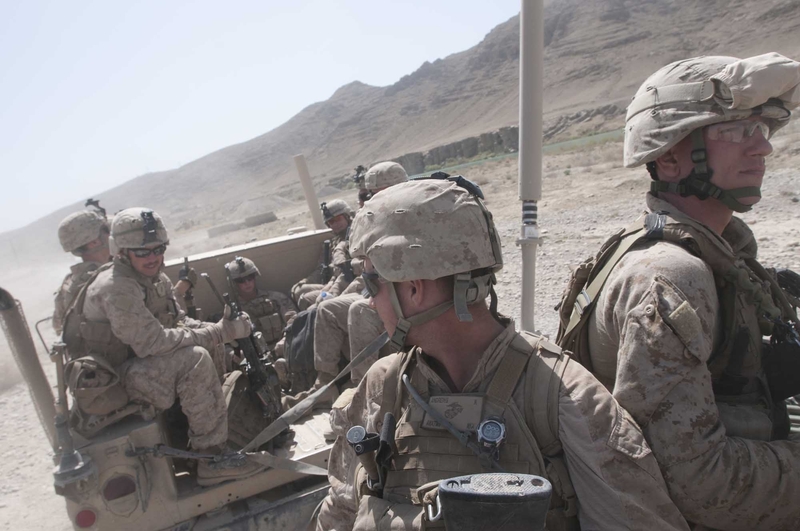 Marines transiting Kajaki ride in open back Humvees and trailers because a local bridge is in such a state of disrepair, that crossing in heavier vehicles could result in breaking through. Second Platoon Alpha Co, 1st Battallion, 8th Marines man Observation Point “Shrine” along with elements of the Afghan National Army at the northernmost frontier of the Marine area of operations in Helmand province. OP Shrine in Kajaki, Afghanistan on April 12, 2012.